This past Friday funeral services for Sandra Waldron, wife of evangelist Bob Waldron, were conducted at Dade City, Florida. This morning a memorial service was held in Athens, Alabama. In both services Bob spoke lovingly of his wife of some 48 years, and I paid tribute to a dear friend. 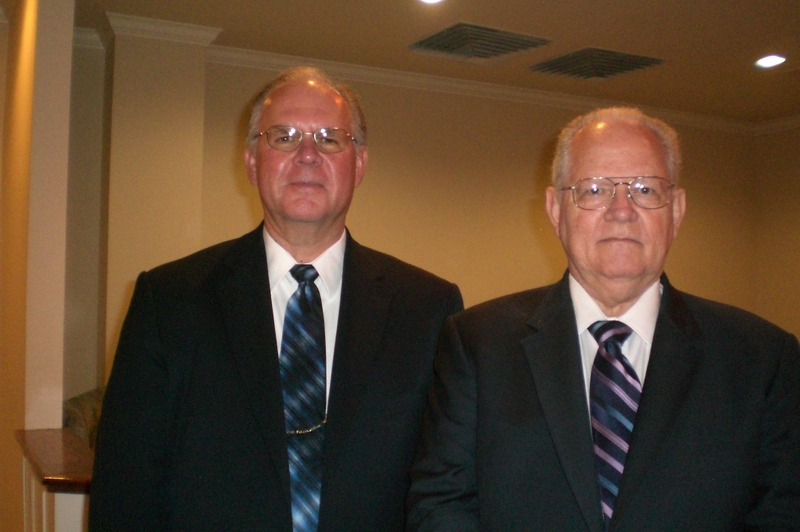 The two of them have been of tremendous influence in my life. My relationship with the Waldrons goes back to about 1969. I knew them before that through visiting the church at Sumiton, Al., where they were located, but it was in ’69 that I began to study with Bob. I knew that I wanted to preach, and I knew I needed the help that comes from studying with an older preacher. I was 16, and Bob was 27; he was my older preacher. Those weekly studies in their living room on Monday evenings were a great help to me. Bob had me memorize hundreds of passages; he taught me how to study, to be sensitive to people, that our purpose was to teach people, to help people that their souls might be saved. Sandra was consistently very supportive of what Bob & I were doing. What Bob & Sandra were doing was not just giving me some of their time—they invested themselves in me; they gave themselves. What emerged is the kind of relationship that Paul discussed in Phil. 1:3,7,9: They are in my mind, in my heart, in my prayers. That friendship that began back in those early days has continued and deepened through the years to the present time. I think of Bob and Sandra as a team. Sandra was truly a help that was meet, suitable. They were joint-heirs together in the grace of life, of one heart and one soul. What a team! Their writings (published by Truth Magazine) have influenced thousands already. May thousands more be influenced for good in the future. And what is the emphasis of their teaching? Not cutesy stuff; not obscuring the text under the guise of “making it relevant.” Rather the underlying basis is that the Bible is already relevant, so we need to know the Bible, that we may know the God of the Bible. Their work on the History and Geography of the Bible, a 52-lesson book that traces the theme of the Bible from Genesis to Revelation, gives the historical and geographical setting of the biblical world, the setting and context of the events of scripture. Their work in this area was a tremendous factor in igniting my own interest in the Bible lands that you see reflected in this blog. Like all who are saved, Sandra was saved by the grace of God. I’m thankful for the hope that this gives. I’m thankful that she believed in Jesus, she repented of her sins, confessed her faith, and was baptized for the remission of her sins. I’m thankful that she lived in the Lord, and died in the Lord. Oh what a difference the Gospel makes. I’m thankful for the hope and blessed assurance that we have today. So ultimately this becomes an occasion to praise God, to praise Him from whom all blessings flow. His mercies are new every morning; great is His faithfulness. Trust in Him who will not leave you. Heb. 13:5-6. Whosoever believeth upon Him shall not be put to shame. This photo of Bob and myself was taken this morning following the memorial service. May the God of all comfort sustain my brother Bob, and may He use the memory of Sandra for good. This entry was posted on Tuesday, September 13th, 2011 at 9:12 PM and is filed under Bible History and Geography, Bible Study, Friendship, Funeral, Good influence. You can follow any responses to this entry through the RSS 2.0 feed. You can leave a response, or trackback from your own site. Thanks for giving us a glimpse into the lives of these two wonderful saints. I thank God for their love and dedication to the Lord and to one another. They inspire me. Thanks for sharing this, brother. Although I don’t personally know Bob nor did I know Sandra, I am thankful for their work. It says something about their work when I traveled to Colombia to preach and the brethren there were using their history and geography workbook (having thought it was well worth the time to translate into Spanish). You are very right in saying that Jesus removes the lingering sting of death. Praise God that we have the hope to meet again (or for the first time) on the bright beautiful shore where we can all sing His praises together! Thank you for this loving tribute to Sandra and Bob Waldron. I had the privilege of being in their home years ago at Hartselle Alabama. I also highly respected brother Lee. Your pictures and report on your trip with Ferrell Jenkins are great. I have saved some of the picts. Could you put me on to receive your reports. Keep up the good work. Hi Jim, thanks for writing. To subscribe to my blog just go to the box provided right below the calendar on the home page and enter your email address. You will then be notified via email each time I publish a new post on Leon’s Message Board. I didn’t know Bob or Sandra Waldron except by reputation. But I did want to add a comment about the wonderful book they co-authored on the History and Geography of the Bible. I finished that study about a year and a half ago. It was so enlightening and one that took a great deal of study on their part to be able to write it. Thanks so much! I am so sorry about Sandra’s untimely death. Ann White, Tampa, FL. What a nice tribute, Leon. We love brother Bob and our prayers have been with him and his bride. I never had the privildge of meeting her – brother Bob came to Michigan after 9/11 and she was unable to come, and when I popped in for a quick visit in Alabama during a gospel meeting, she was away. But she – through Bob and their work together – has had an influence on us and on those we teach. Dear Leon, Thank you for this info. I was just talking to Ida Alexander and she told me about the service. She wanted me to go with her but my time does not allow such at present. (I have several classes and I have my 92 year old Mother fulltime with sitters.) My time with Bob and Sandra has also been so limited. I stand in awe of their wonderful contribution to our studies and classes. I had just met , through Facebook, Sandra…right before she became ill. We only had a time or two to communicate, but so sorry to hear of her passing. Thoughts are with her family at this time of grieving. I am thankful for her contribution to the spreading of the gospel. We met because of our names..